Water Filter Specialty Cartridges, Arsenic Filters, DI Water Systems,Cationic Resin and Nitrates Cartridges. Water Filter Specialty Cartridges, DI Water Systems,Nitrates, and Arsenic Filters. Notice: We do not recommend the consumer use of DI Water and Distilled Water for long term human consumption unless the proper minerals (at the proper levels) have been re-added to it before drinking. This information is presented for informational purposes only, and is not to be interpreted as medical advice. See pdf file of research on this. For high purity laboratory or formulation use. Mixed Bed DI Resin for Ultra High Purity Applications. Contains BOTH cationic (+) and anionic (-) resins. 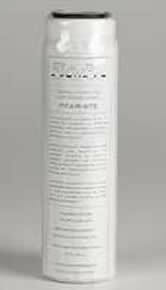 Important Note: For hard water precede this Mixed Bed cartridge with a water softener or a Cationic Resin (Softening) Cartridge, or the hard water will prematurely deplete the functionality of the cationic resin within this Mixed Resin DI cartridge. We recommend preceding these cartridges with a reverse osmosis system for best results. This will drastically reduce the TDS and greatly extend the life of this cartridge. You may need to pretreat the water with an appropriately sized Residential RO System or Commercial RO System. (Remember, a 75 GPD RO System delivers only 25 Gal. per 8 hour work period.) Our lab customers have had great success with this. Full cases ship within 1-2 days. 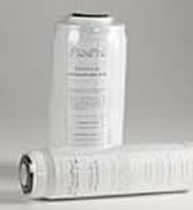 Click Here to see product spec sheet for Purolite A520-E Nitrate Selective Resin. Application: To selectively remove Nitrates from drinking water. Resin: Purolite A520-E Nitrate Selective Resin. Resin Type: Macroporous Strong Base Anion Exchange Resin. Specially designed for selective removal of Nitrates in drinking water where moderate to high concentrations of sulphate are present. Application: To remove Arsenic (III) and Arsenic (V) from drinking water, when is not an option. Maximum Iron: < 0.5 ppm Notice: Iron Removal (Pre-Treatment) is required if Iron is (> than) or (= to) 0.5 ppm because Iron competes with this resin. 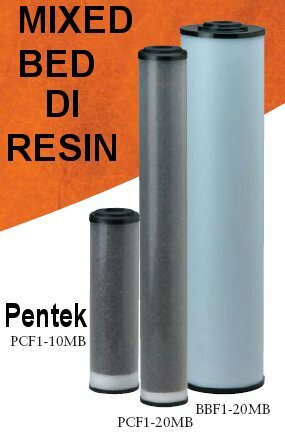 Resin: ARS-93 Resin (Ferro Hydroxide Based) in Linear Flow Cartridge. Notice: We highly recommend that you use a Water Filter TO PRECEDE THIS CARTRIDGE. It's much more cost effective and has a much higher capacity. Monthly or weekly testing for arsenic breakthrough on the RO membrane (TDS breakthrough) using a held held TDS Meter is also necessary. Notice: If your arsenic levels exceed the U.S. EPA Maximum Contaminant Level (0.01 ppm = 10 ppb), work with a Licensed Water Treatment Specialist to ensure that your total system is adequately removing arsenic to safe levels. This also involves periodic water testing and monitoring. Use at your own risk under qualified supervision. Flow Rate: 0.5 GPM Maximum.